Don't laugh. It needs to be talked about. Improperly washing your hair is a pandemic sweeping the nation...even the world. Like washing your face it is something you can just do without even thinking about whether or not you're doing it properly. Luckily, you have me to save you from your improperly washed hair fate. You don't need a lot of shampoo. "But Cassidy, it's doesn't lather properly without a lot!" I know. That's why you have to wash your hair twice! The bottle doesn't say lather, rinse, repeat for nothing. 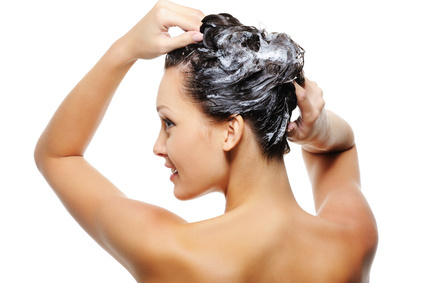 The first time you wash your hair, really use your fingertips to break up all the dirt and oils on your scalp. It might not lather very well...but oil and water don't mix well. You don't have to worry about getting every last bit out on this go round. Same amount of shampoo as last time. Maybe a quarter size or less. It should lather better now. Again, really work on your scalp. You don't really need to lather up your ends, the shampoo will wash them on the way out. Now you want to make sure that you're getting all of your shampoo out. ALWAYS condition. It deserves caps lock it's so important. So, have you been washing properly?